The Country House is situated on the route to the Cango Caves, the Swartberg Pass and the circle route to Prince Albert via Meiringspoort. It is also within easy reach of the Cango Ostrich Farm and Cango Wildlife Ranch. 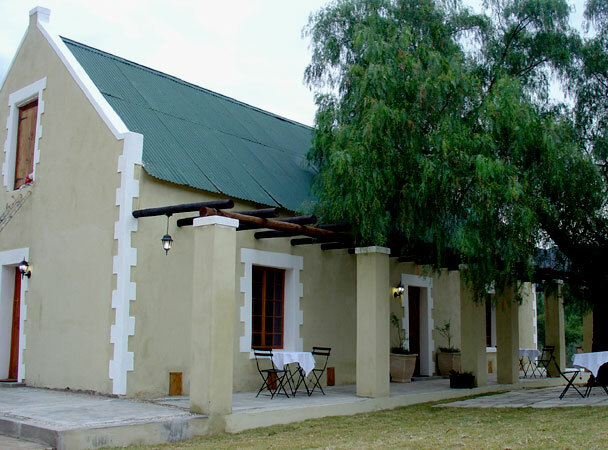 The homestead and outbuildings date back to the 1800`s and reflect the typical Klein Karoo architectural style. They have been gracefully restored to their original splendour, and equipped with all modern conveniences. Our dining room reflects our warmth and hospitality, and overlooks the sparkling swimming pool. The picturesque Schoemanshoek Valley provides a breathtaking backdrop.